Julia studied at Jacques Lecoq in Paris, Cambridge University and Drama Studio London. She founded Scene Gym in 2016 to create a safe and playful space for creatives to come together and bring new scripts to life collaboratively. From 2016-2017, Scene Gym was selected by the Old Vic Lab Project as a resident company at the Old Vic Workrooms. Last year, she produced Scene Gym’s first short play festival, ‘Scene Gym Shorts’ at the Arcola Theatre, which showcased scripts that had been workshopped and developed at Scene Gym sessions. Alongside Scene Gym, Julia continues to work as an actress. Recent credits include ‘BBC Doctors’, ‘Boeing Boeing’ (Frinton Summer Theatre), ‘Obsession: Dark Desires’ (ID Discovery Channel), ‘Macbeth’ (Young Shakespeare Company), ’Monologue SLAM UK’ (Theatre Royal, Stratford) and ‘Never Forget’ (Feature Film). Tim is the founder of the theatre company Broken Silence Theatre and an award-winning playwright. After initially training as an actor at RADA, he was invited onto the Royal Court Theatre’s Young Writers Programme. His playwrighting credits include: ‘Crushed’ (King’s Head Theatre), ‘Blackout’ (Drayton Arms Theatre) and ‘Absence’ (Towner Gallery) and recently ‘Adam and Eve’ which received 5* reviews and transfers to the Hope Theatre in May 2018. He is currently on attachment to New Writing South and his latest play ‘Tremors’ will be shown at the Old Red Lion later in the year. As Co-Producer, Tim is involved in every element of the Scene Gym process from reading and selecting scripts to ensuring the gym sessions run smoothly. 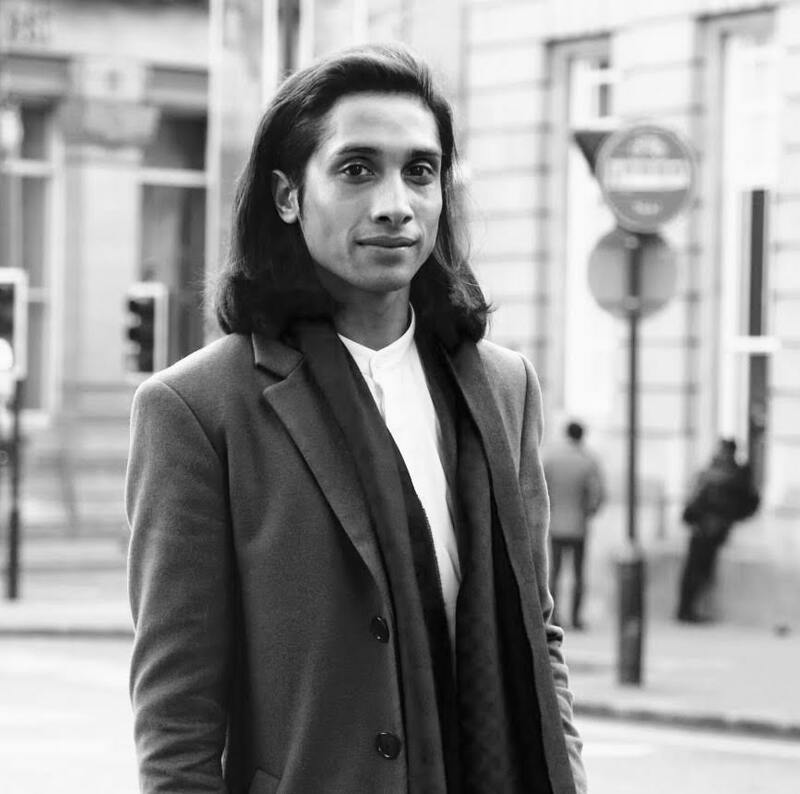 Kamal is an actor and writer from Bradford. He read Architecture at Cambridge University and an MA in TV Fiction Writing at Glasgow Caledonian University. He has been selected to be part of BBC Writersroom Drama Room 2017 and listed in Prolifics North top 100 scriptwriters 2017 in the UK. Recently he was awarded silver at World Stage Design 2017 with ‘The Weather Machine’ ( SkyArts/Stage@Leeds/ West Yorkshire Playhouse.) He is an Associate Artist with Freedom Studios and completed The Emerging Writer’s Scheme with The Bush Theatre. For radio, he has written – Drama of the Week ‘Breaking Up With Bradford’ (BBC Radio 4), ‘Headline Ballad: Whilst The Water Weeps Next To The Water'( BBC Radio 4) ‘As the Cloud Takes its Last Breath’, (BBC Radio 3) winner of the Verb New Voices 2013. Theatre includes: ‘Beloved’ ( West Yorkshire Playhouse – Furnace festival ) and ‘Sacrilege’ – Bush Theatre re-launch festival. And ‘It all comes down to this’ (Stage@Leeds – winner Best Installation, World Stage Design 2013). He is currently developing work with BBC Writersroom, Freedom Studios and BBC Radio 4. Natassa completed a Masters in Writing for Performance and Dramaturgy at Goldsmiths University. Recent theatre credits as a writer include: ‘This Wall’ (English Theatre Berlin), ‘Mothers Milk’ (Arts Depot), and ‘Creases’ (Soho Theatre). As Dramaturg, Natassa enjoys reading and selecting Scene Gym submissions from a wide pool of writers, many of whom have gone on to have their work staged in the U.K. and internationally. Scene Gym would like to thank our Associate Artists, Kimberley Gabriel, Aydan Wilder and Tara Dowd for their continued support.